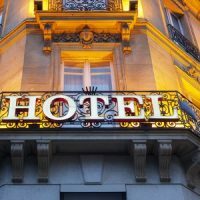 What are Hotel Financing Loans? If the hospitality business is flagged or unflagged – Flagged businesses are usually brand names that are recognized nationally and internationally. Having a well-recognized name help get better rates, terms and appraisal values than unflagged hotels. The in-charge of the operation even in flagged operations plays a vital role in gaining finances. As the hotel business is a 24-hours operation good management is the key towards brand equity. And it is this equity that lenders notice. Property financials of at least past 2 years with the balance sheet, profit and loss statement, cash flow statement etc. A certified accountant with the lender or bank should prepare and certify these documents. Equity investors and lawyers – Structuring loan for a property require equity investors. In such a case, the broker should involve a lawyer who is familiar with these types of deals and their structure. Laws vary from state to state and most have caveats to ensure they have all possible scenarios covered. The lender’s experience ensures you get the best terms and rates. Use commercial banks and lenders because this business is going to be a lifelong relationship. As there are several types of lenders the rates, time periods and amortization periods differ accordingly. The financing may differ depending on the type of project – if it is new project or renovation. These loans help refinance, offer flexible payment options with the inclusion of closing costs and sufficient working capital with huge benefits. USDA Loans are a viable funding option if the property is in their area of jurisdiction. Their rates of interest rates are lower than the conventional rates thus allow for a higher leverage. But check with your lender for eligibility conditions. SBA Loans are a good option for hoteliers if they meet the requirements. As these loans offer longer amortization periods and interest-only periods. This helps ease the cash flow when the operation ramps up. Creative lending is worked into comprehensive loan package clubbed with other types of loan. This innovative method is also being used to achieve adequate project funding. As conventional capital for new development and construction may decrease despite your experience. This is due to fears about an overbuilt market where the returns may not be guaranteed. Thus, the conventional banks shy away from these projects. Property improvement plan loans can be financed by the means of conventional and/or SBA capital. These loans allow hoteliers to maintain liquidity by keeping ready capital while completing the necessary renovations. We also offer other commercial loans, including SBA finance loans in Arizona.